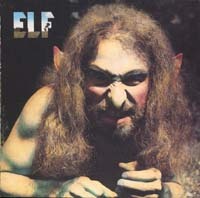 - Has probably text "Featuring Ronnie James Dio" on the sleeve. 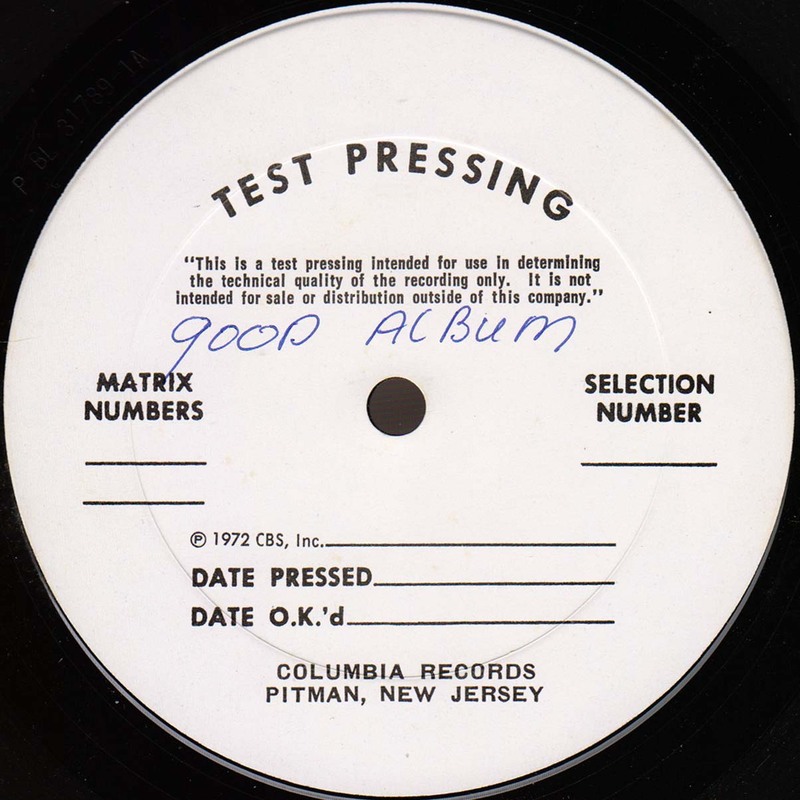 - Hand-written test pressing labels. 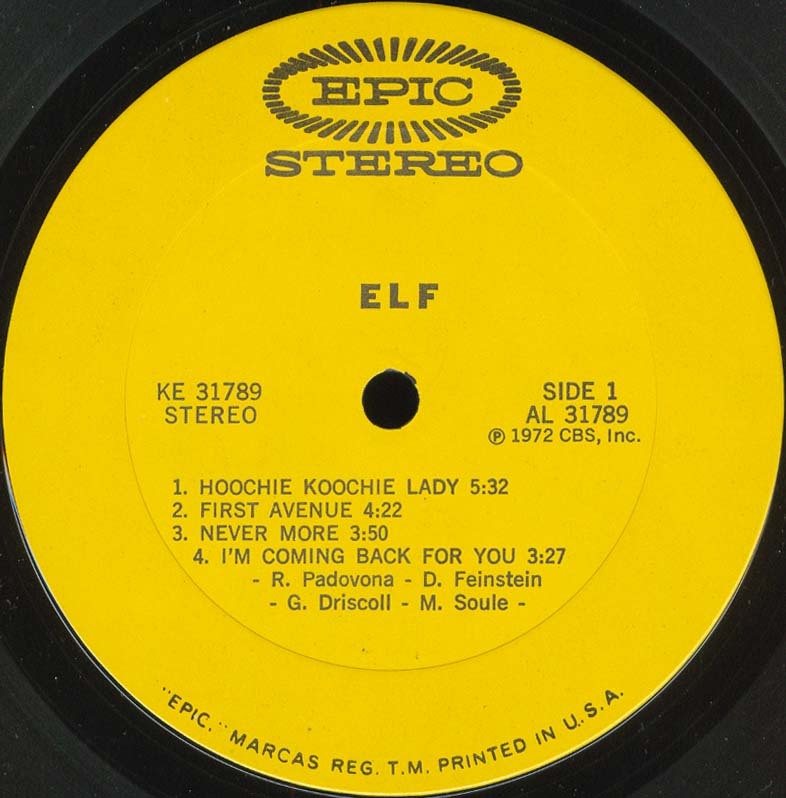 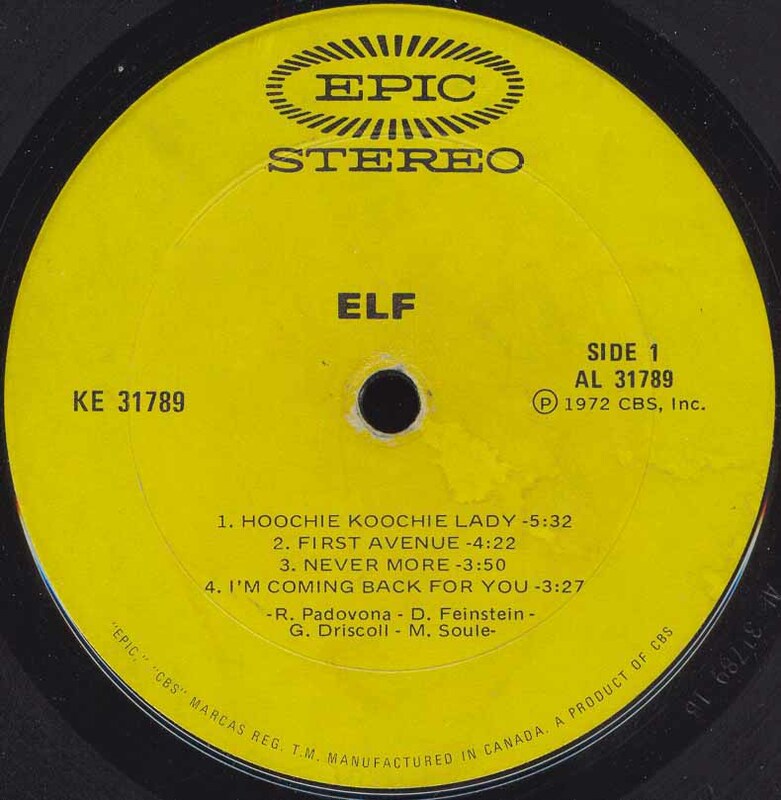 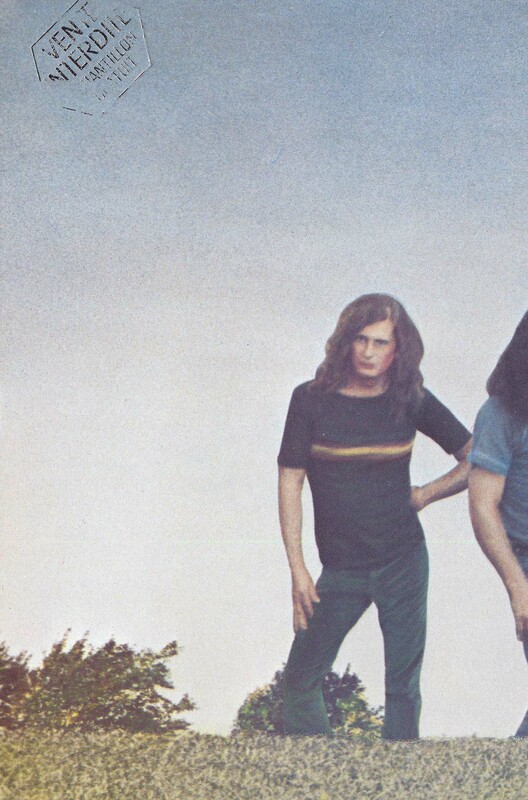 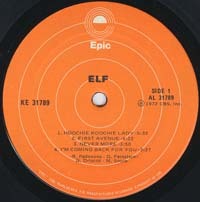 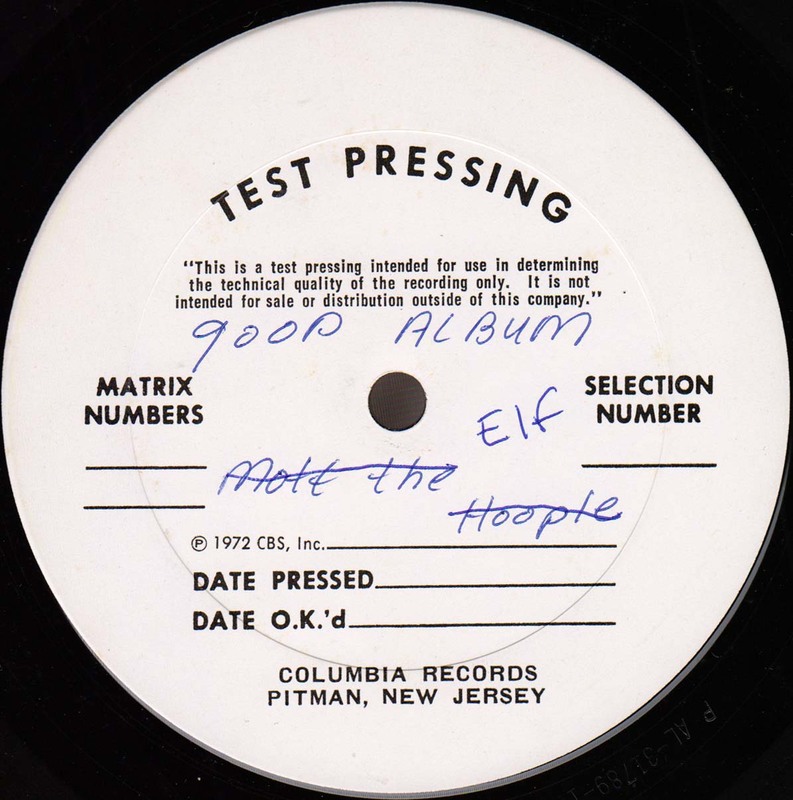 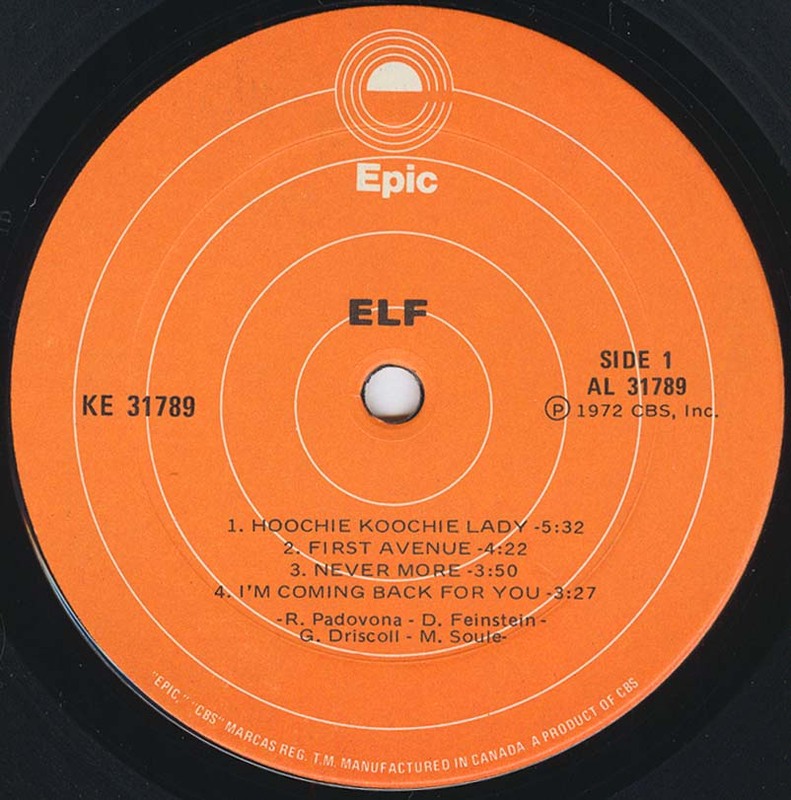 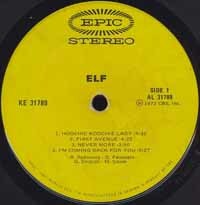 Side A label accidentally marked as "Mott The Hoople" but overstriked and corrected as Elf. 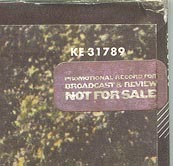 - Side A etching (stamping): P AL-31789-1C. 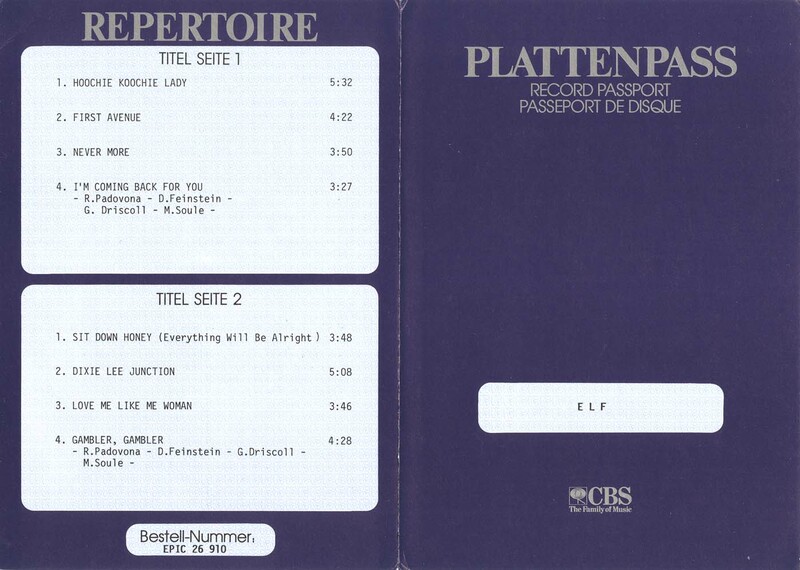 Side B etching (stamping): P BL 31789-1A. 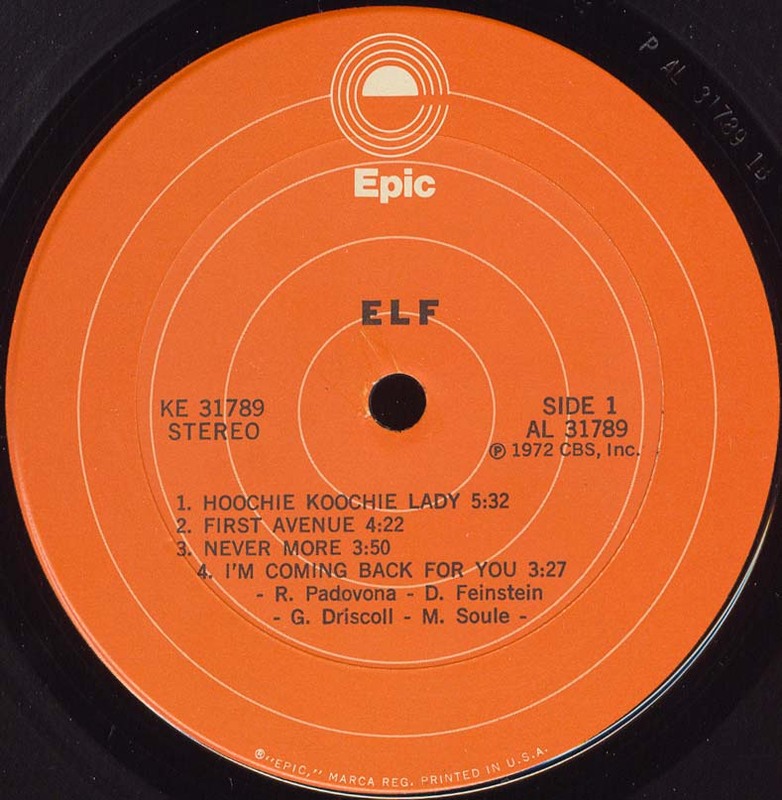 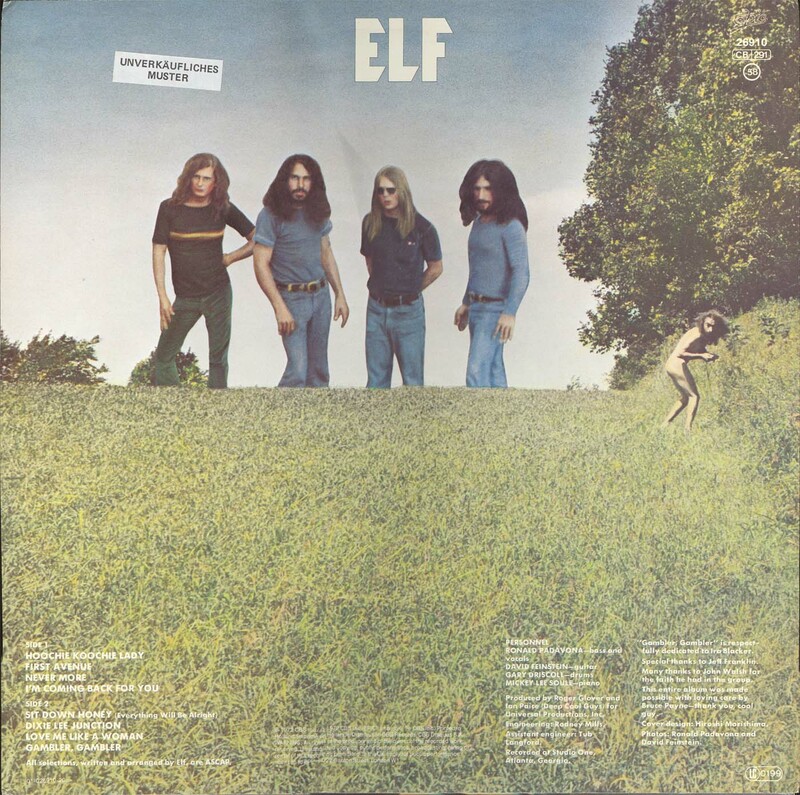 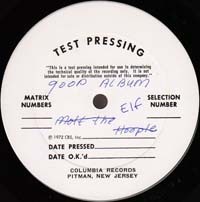 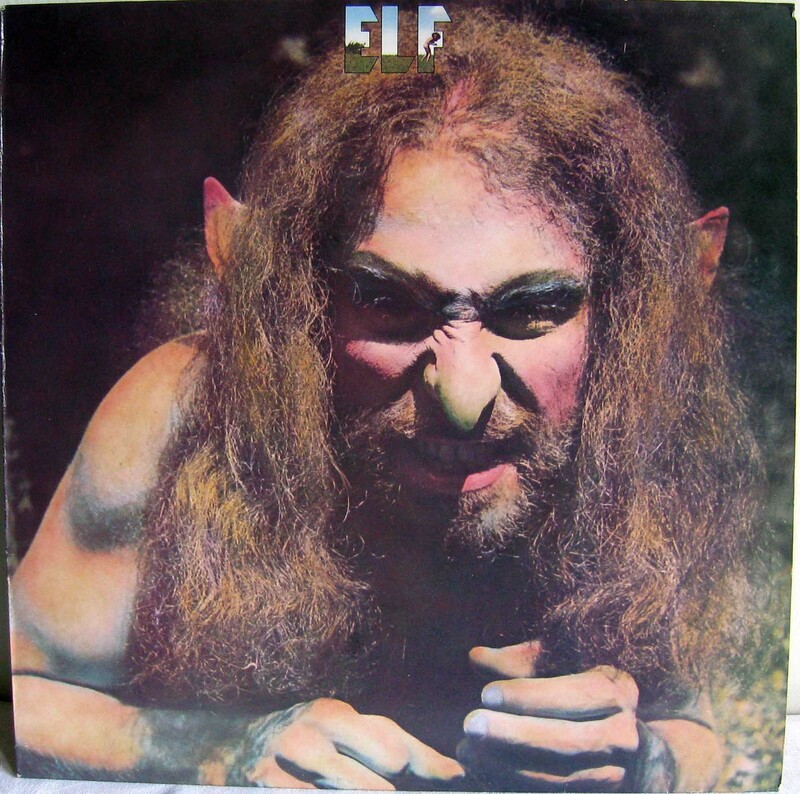 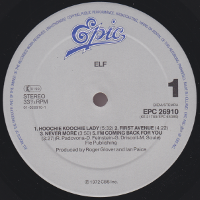 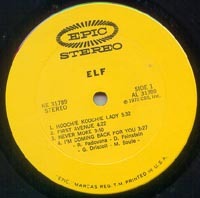 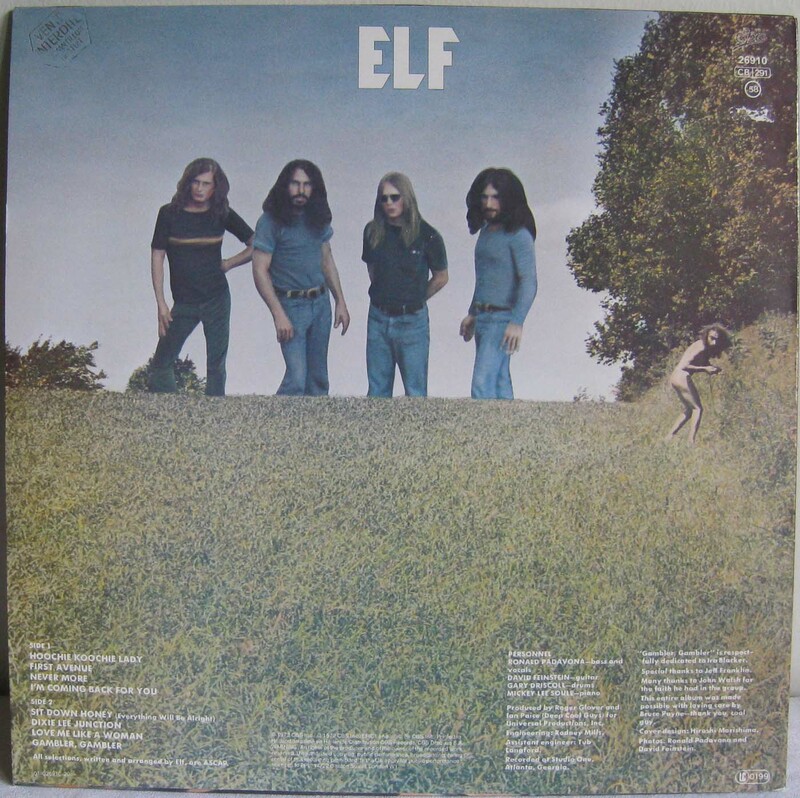 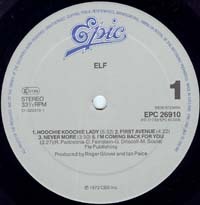 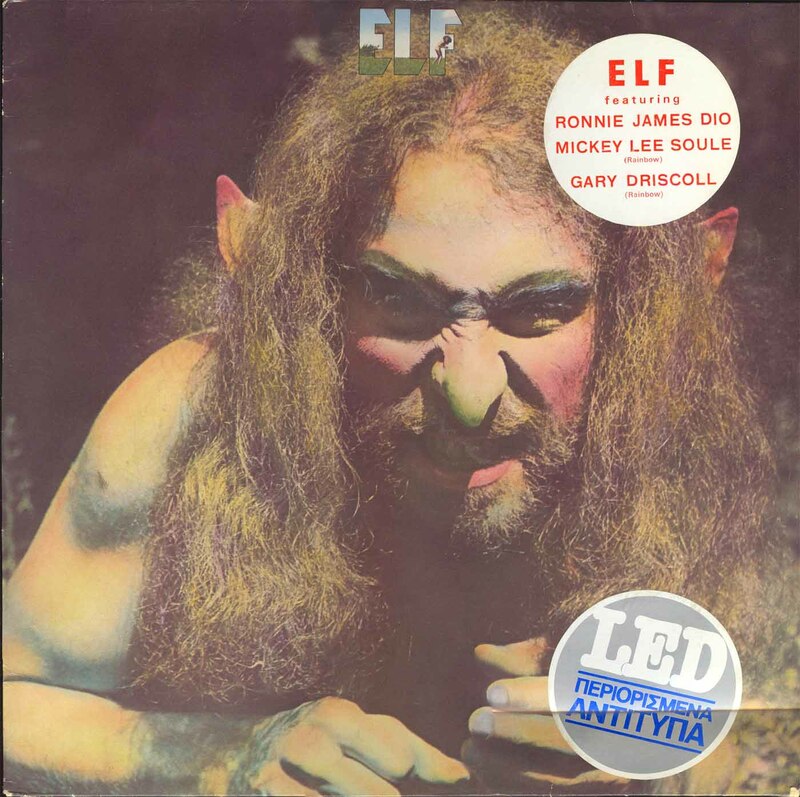 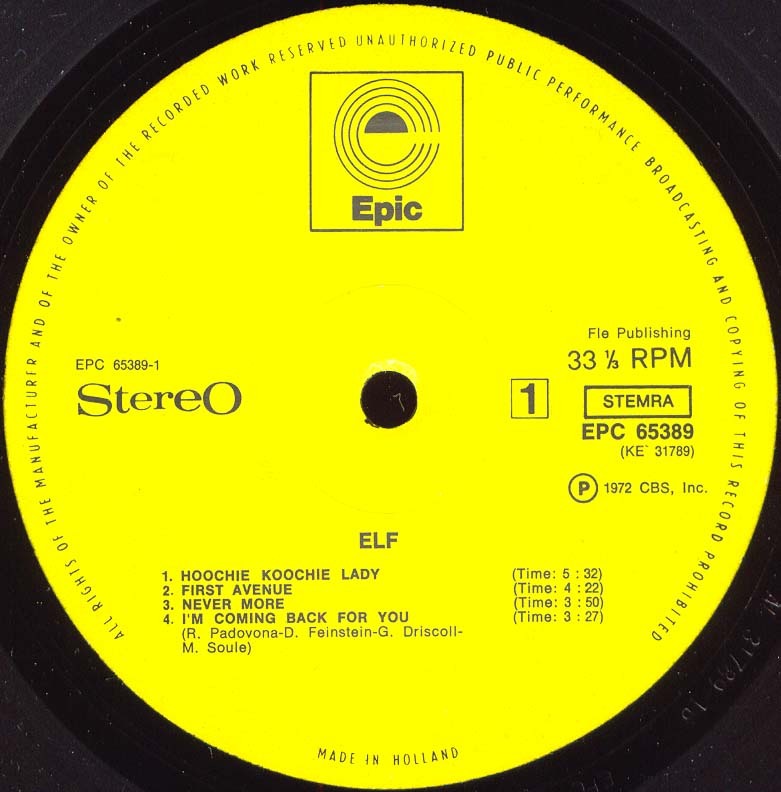 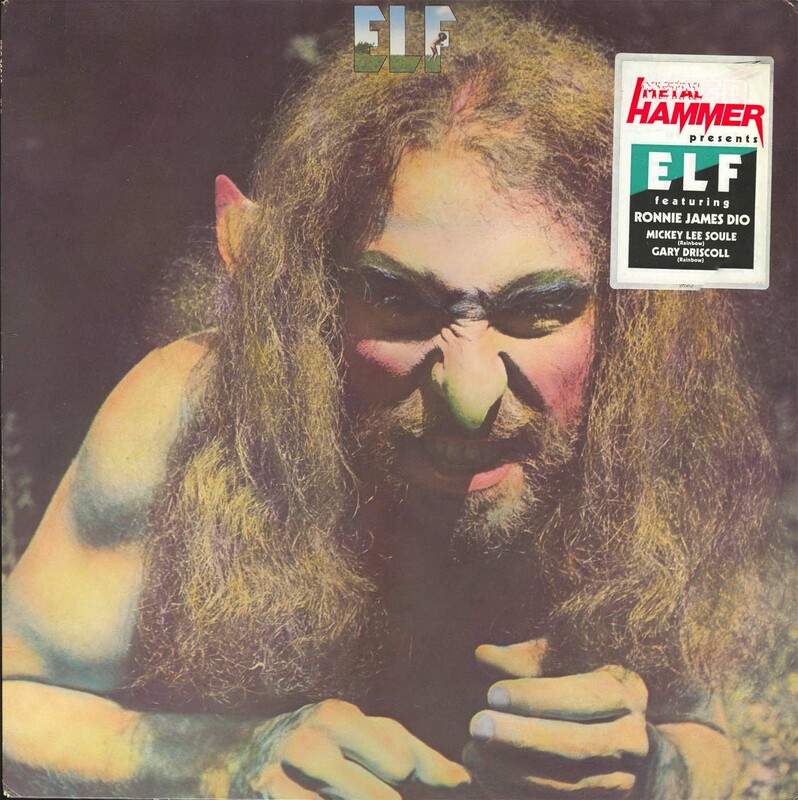 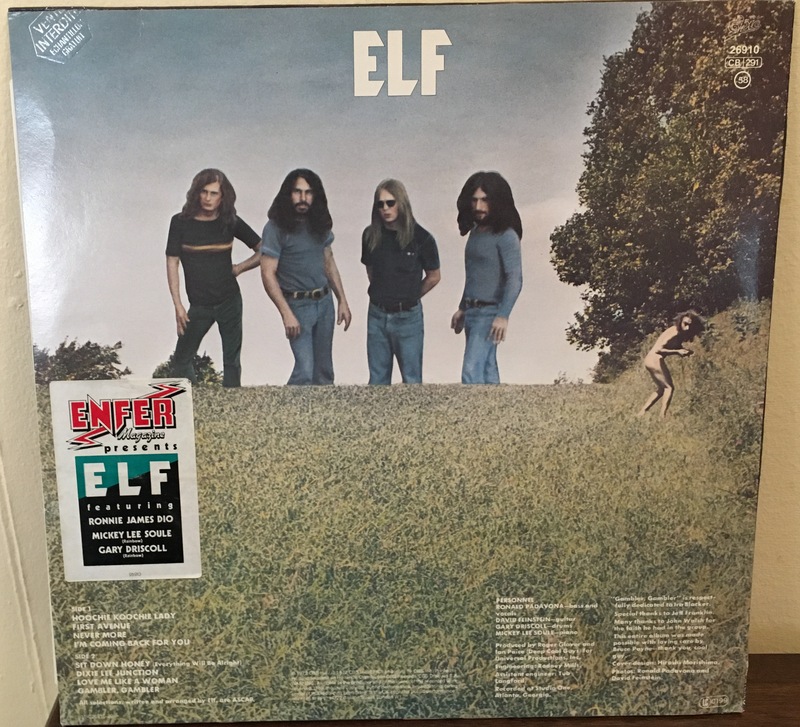 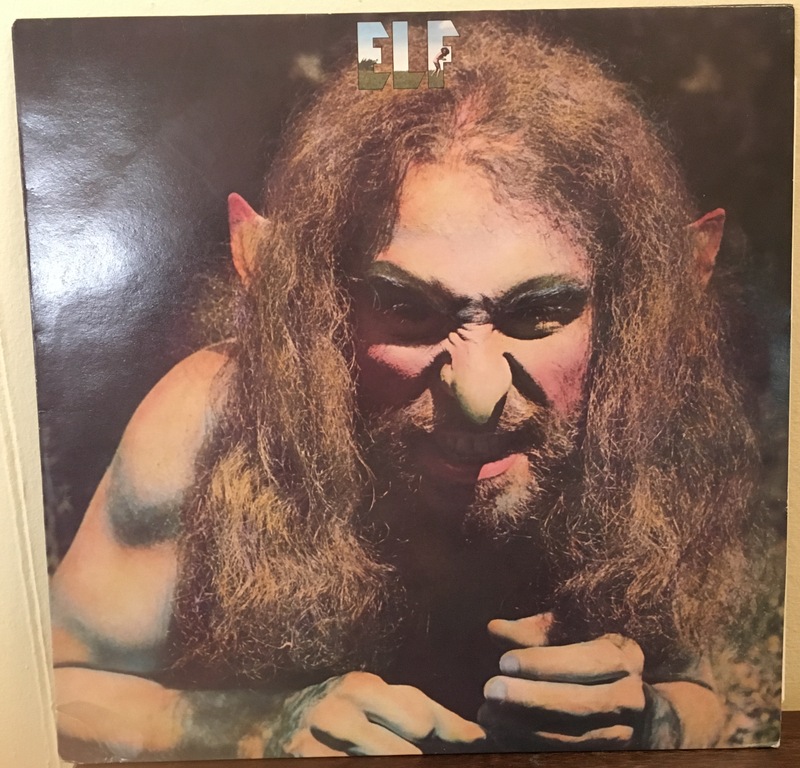 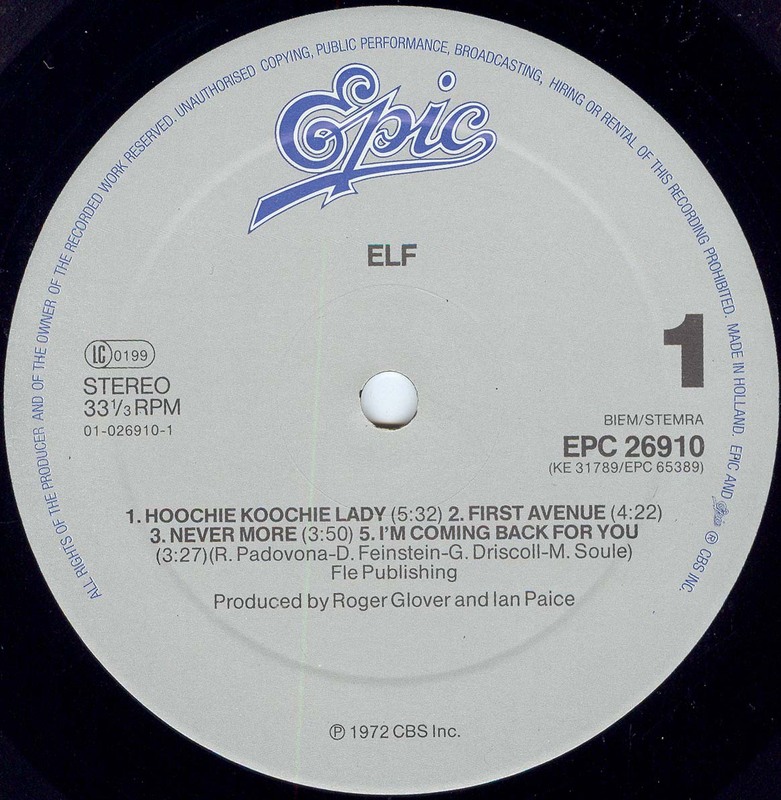 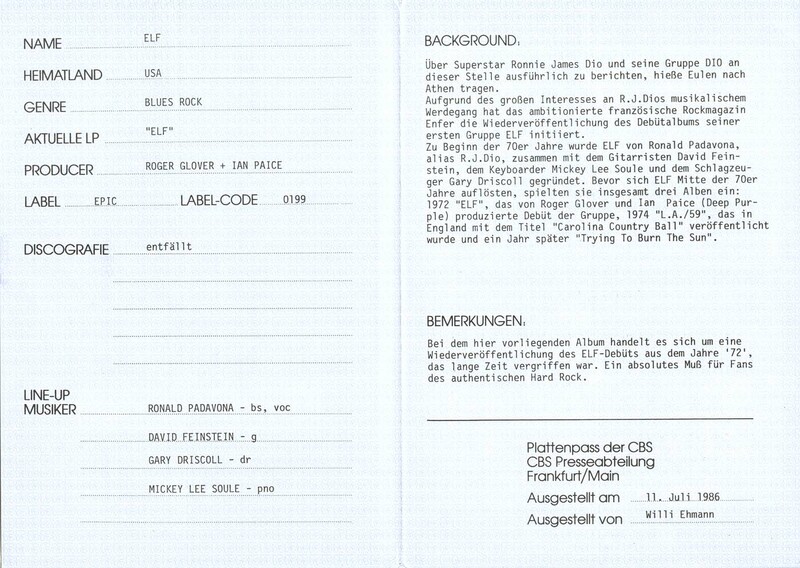 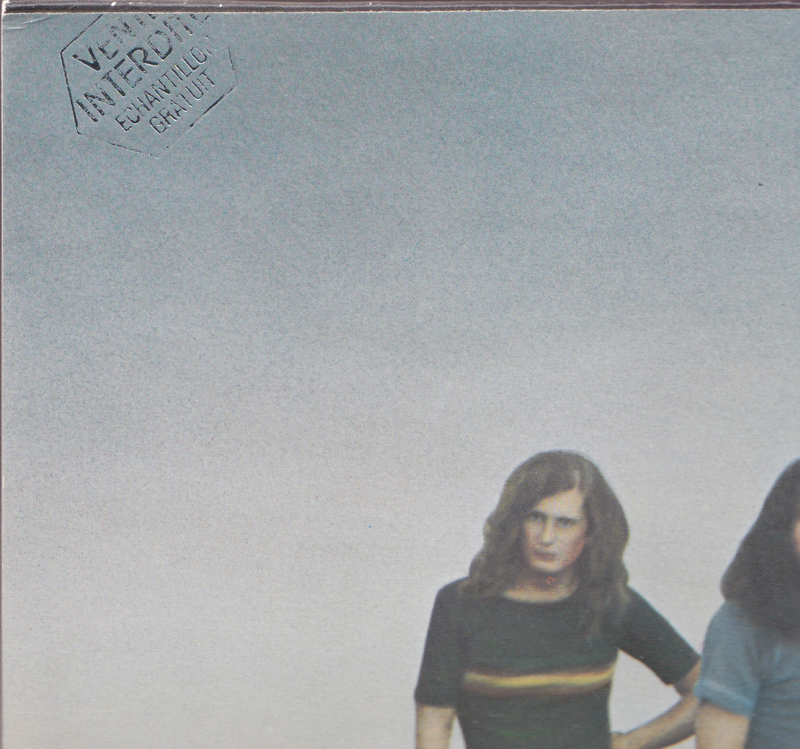 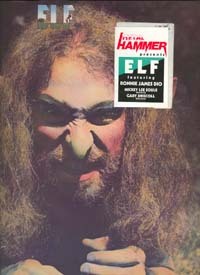 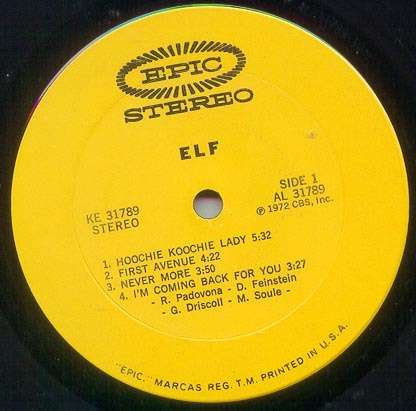 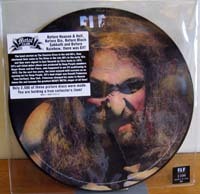 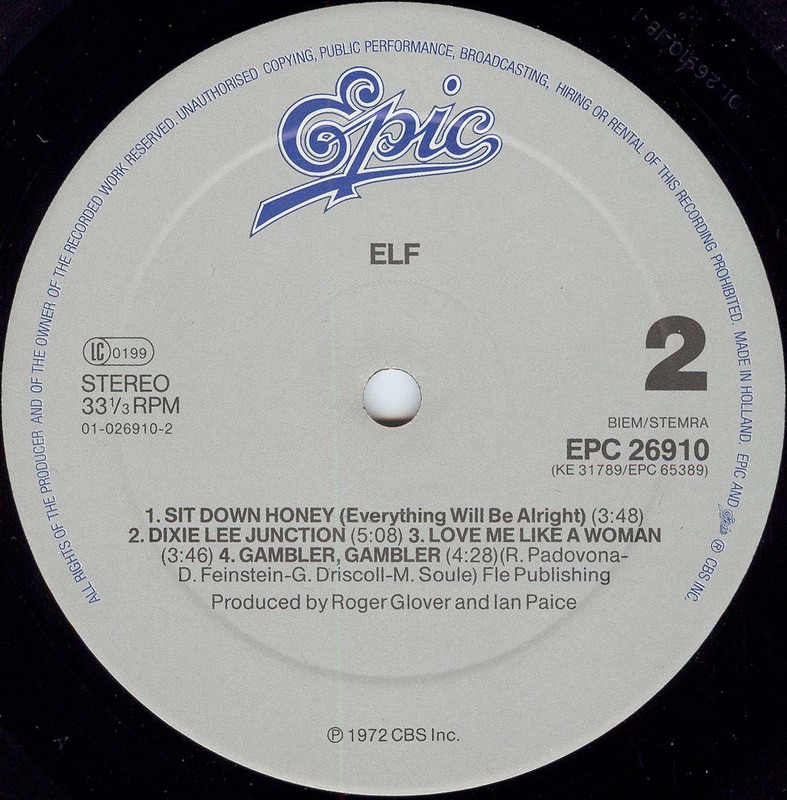 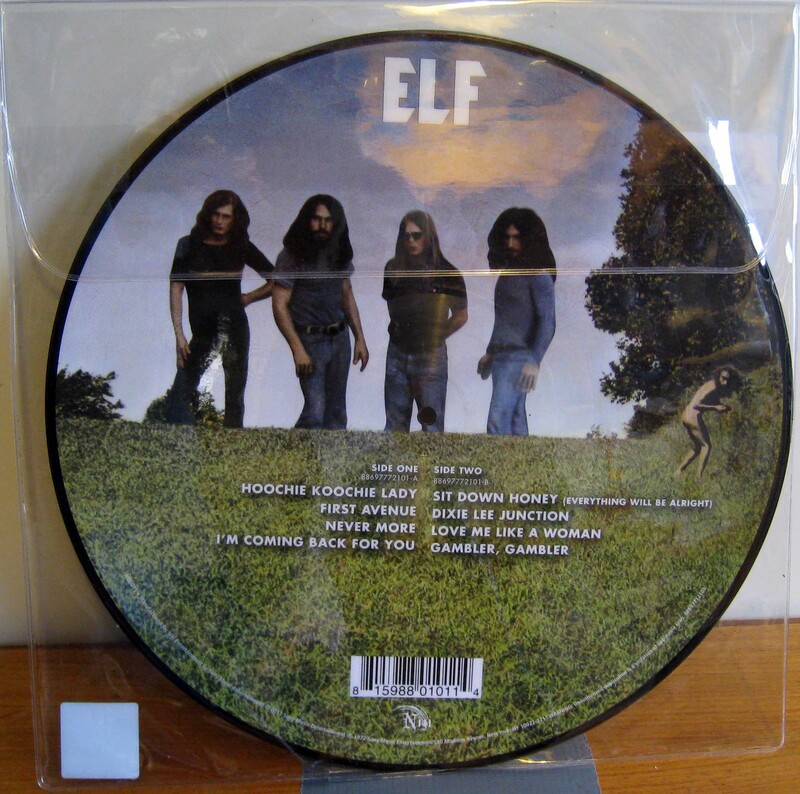 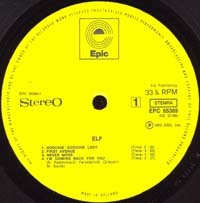 Different master used than on the normal or promo copies of the LP. - Side A has etching "BOB'S YOUR UNCLE", side B "SALLYS YOUR AUNT"